Please go here. We will send you our new partner paperwork to help us start creating your school store’s Trade-In website. Once the website is live we will provide you with the tools and training needed to begin processing trades through your new portal. Setup can be done in just a few weeks. You can join our trade-in network for free. We’ll create a website that ties into your retail store’s existing online site. We’ll take you through a short webinar training session. This will not cost you anything to implement. We serve a variety of universities across the nation. From large universities in major conferences like the Big 10, Pac 10, ACC, Ivy League, to small community colleges, public school districts and local retail stores. University and College Stores issue out gift cards to keep the revenue within their stores and earn 10% commission on all trade-ins through this program. They earn even more by contacting their school’s different departments to process more trade-in bulk volumes and earn 15% commission. 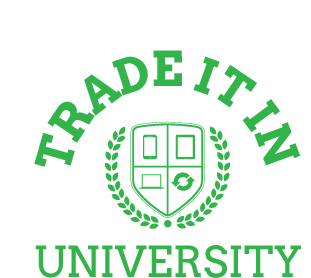 Want to Learn more about Encore’s University Trade-In program?